Chronic pain can be very isolating. You may have very few people to talk to who understand what it’s like to live in constant pain. There may be no welcoming place to speak openly about your fears and difficulties with those who are meeting similar challenges and who will not feel sorry for you or try to fix you. Being in pain is like living in a different world. There’s a sensitive bubble around you that others can’t fully recognize and understand. 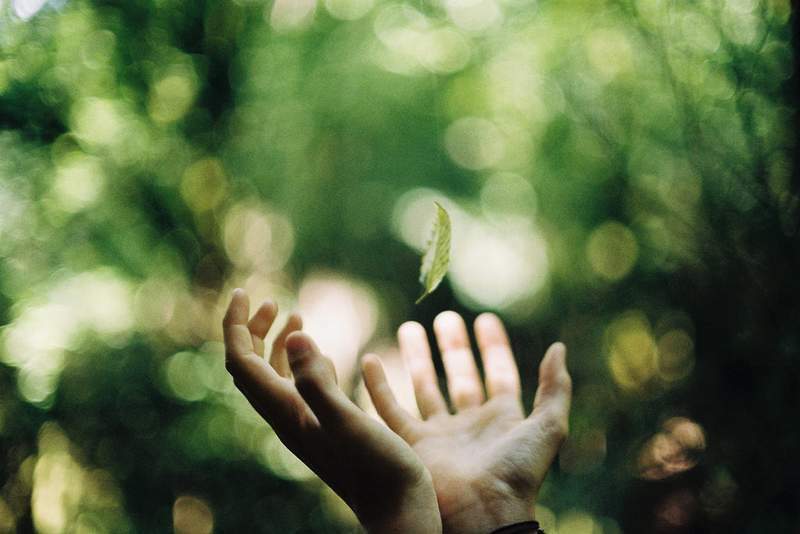 The painful sensations are felt in the body, but they also seem to inhabit the air around you, as if hypersensitive nerve endings extend a few feet from your body and make the space around you feel like it’s part of your pain world. When you’re in severe pain, someone getting too close physically can set alarm bells off in your body before they’ve even touched you. This adds to the feeling of being cut off from others and the world by this painful enclosure and, in a way, needing to be cut off. In addition, you may contract yourself physically in order to keep yourself safe from the haphazard movements of others that might poke or knock against you. You may also contract yourself emotionally, withdrawing from others by choice or necessity. If you have restricted mobility, or your condition is debilitating in other ways, you can feel even more isolated. Being unable to participate meaningfully, you may feel very disconnected from the world, life and others. You’re still alive and in life, yet you don’t feel nearly as much an active part of life. This sense of separation from others and from the world can feel extremely lonely. When you’re in pain, you’re also more tired and groggy than usual. The added sensation of being “out of it” and in a fog makes it feel like you’re always in a kind of jet-lagged state. Socializing can be challenging because putting out the energy to converse and act normally is often exhausting. 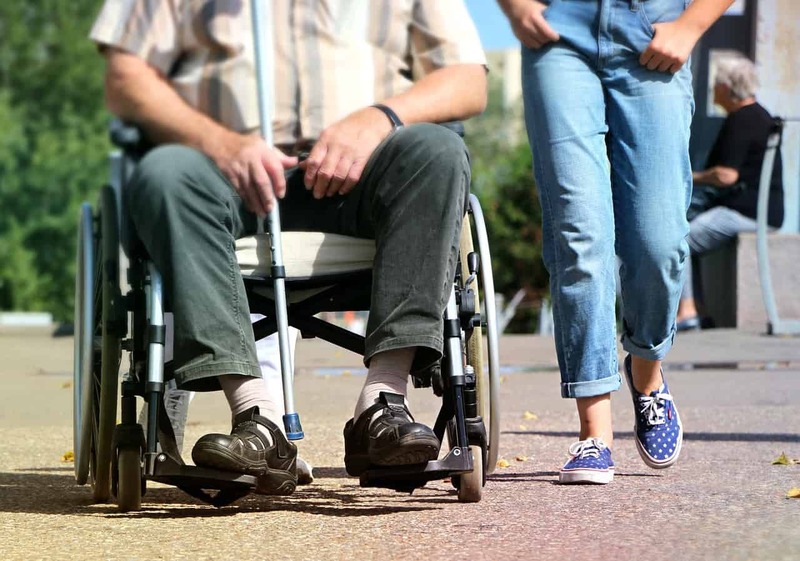 Whether your condition limits interactions because you’re bedridden or less than fully mobile in other ways, or if you’re mobile but in significant pain, you feel the limitations on your ability to truly be with others the way you usually enjoy. You talk less, leave early, withdraw more or stop going out much at all, even if you can. In either case, pain becomes closer to you than any other companion, and your normal, carefree interactions with others can seem like only a memory. However, it’s not impossible to maintain an active social life while suffering from pain if you keep the five antidotes to isolation and loneliness below in mind. You might feel that the best way to deal with the limitations imposed by deep pain is to simply stop socializing altogether, but over the long run, this may not be a healthy choice. You may certainly need to limit how much you go out if it exhausts you or increases your pain. You’ll need to become an expert at monitoring your own energy and pain levels so that you don’t overdo it. Choose social events that will not wear you out. Be aware of how much energy you have and what increases your pain level and choose judiciously. Obviously, some activities you’ll simply not be up for. 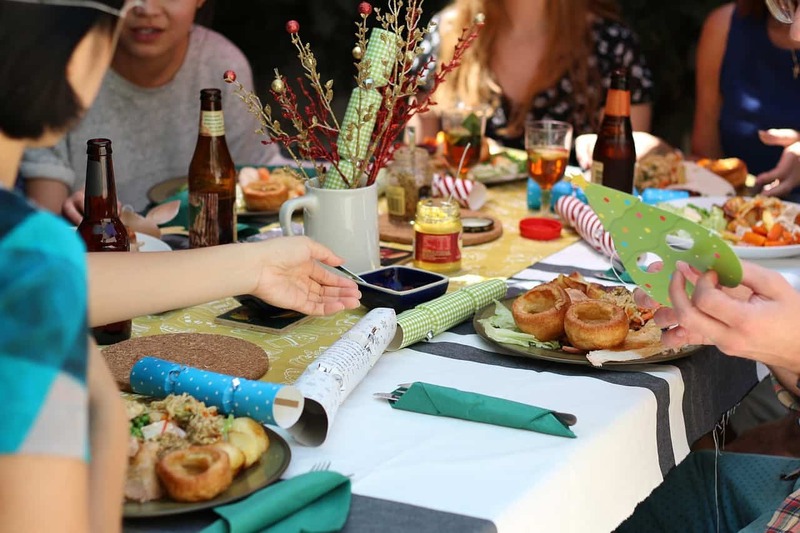 At a dinner party, for example, let people know you’ll only be able to stay for part of the evening or will arrive later for a bit of dessert. Choose social events that will not wear you out. Be aware of how much energy you have and what increases your pain level and choose judiciously. Say no to events that are too crowded, too long, too loud or in any way too demanding of you. Let friends and family know not to take it personally if you have to cancel or postpone at the last minute. Have a friend drive you wherever you’re going and ask them to be flexible about how long you stay. If they know you well, they may help you monitor your energy level. Leave before you’re exhausted, not after. Find social activities that don’t tax your body, and let others wait on you. For example, plan a movie night at your home and ask your friends to organize the food and movie and to clean up after. Tone down the volume and visit quiet places. Choose to go with a friend who understands your limitations and is willing to leave as soon as you give the signal. 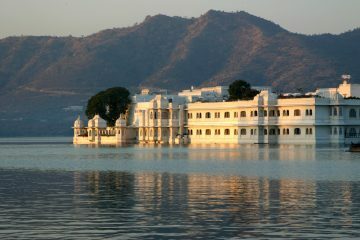 Such places include bookstores, museums, art galleries and quiet cafés. If you have the energy, start a group for people who suffer from chronic pain and arrange to meet for an hour at a local café to just talk and share a cup of tea or coffee. Or research online to see if there are any existing groups in your area. Look for talks or music events at your local library or coffeehouse that offer something interesting but won’t tax you as much as a large, noisy venue. In short, instead of staying home because you can’t do the things you used to do, modify your outings to suit your physical needs and invite an understanding friend or two to join you. If you can’t get out, or if going out is too exhausting, phone or email friends to come by and visit, or ask a family member to contact a list of close friends for you. Choose times when you’re apt to be most energetic and organize regular short visits from friends. Your friends will usually feel good about having a clear way to help and to keep a connection with you. Let them know what you’re capable of in terms of length of time and any activities you can participate in, or if you just want to chat. Ideas for simple activities with friends might include reading aloud installments of a novel by your favorite author, working on a jigsaw puzzle or crossword together, playing cards, discussing events at work or in the neighborhood, sharing a home-cooked meal, watching a movie, posting updates on social media or listening to music. If your friends ask if there’s anything they can do to help while they’re there, say yes! Have a list of small tasks they can choose from. These tasks could include quick cleaning (wiping kitchen counters, dusting or vacuuming a room); making a light meal; doing some shopping or laundry; picking up prescriptions; helping you read and fill out forms; answering emails or making phone calls for you; or doing research on your condition on the internet. More energetic friends can scrub your bathtub, mop floors or cook full meals to freeze for later use. There are also other ways of interacting with friends and continuing to feel part of life if you aren’t up for long conversations or you can’t know when you’ll feel well enough for a visit. If you’re able to use a computer, use social media—such as Facebook, Twitter, Instagram or Pinterest—to help you feel a little more connected. You can see what others are up to and pick and choose any interactions, keeping them brief. Talking with friends on Skype, Zoom or Google Hangouts is also a good way to connect; it feels more intimate than just speaking on the phone, since you can see each other. There are also numerous other ways to interact online, such as joining a chat group or blog discussing your favorite topic, joining an online group of people who are dealing with the same or a similar condition, or taking an easy online course that includes interactive chats with other students. Spending time outside in trees or by water really helps restore a sense of connection with all of life. I try to spend a minimum of 30 minutes outside every day, either walking or sitting near trees. I listen to the breeze, to the birds, to the creaking woods, to the rustle of small animals, to my breath. I find it very calming, and it reminds me that I’m still alive and that life is still all around me in all its forms, no matter how my body feels. When I can, I arrange to meet a friend who doesn’t mind walking slowly and for a limited distance. Being in pain, I didn’t feel as friendly as usual and frowned more often. It felt like pain had created its own atmosphere around me, and it was acting as a shield towards the world. I decided that, even though I couldn’t stop the physical discomfort I was in, I didn’t have to withdraw from others completely. When I did interact with others, it was always through the pain and seemingly from a distance created by that pain. But I decided that, even though I couldn’t stop the physical discomfort I was in, I didn’t have to withdraw from others completely. I could be present in my life despite the pain. I began to initiate small conversations with other people in line at the coffee shop or grocery store, with checkout people and neighbours. The conversations were necessarily brief, but I made a practice of making them as sincere as I could. I found it made me feel better to smile more, and it made people around me feel better, too. When I’m with my son, instead of noticing how much pain I’m in, what I can’t do and how tired I am, I try to focus on him. I focus on being very present with him. I laugh more. I try to be very there when I interact with others, and in that way I’m more available to people around me, if only briefly. Through this practice, I’ve noticed that I can still have a positive effect on others, even when I feel like hell. It’s a challenge because of the pain and because of the sense of distance pain creates, as if you’re talking through a fog, but it helps. These things can shift my feelings of loneliness and isolation. I’ve found that I don’t have to be healed or pain-free to find ways to remain part of the life going on around me. Try alternative avenues for socializing. 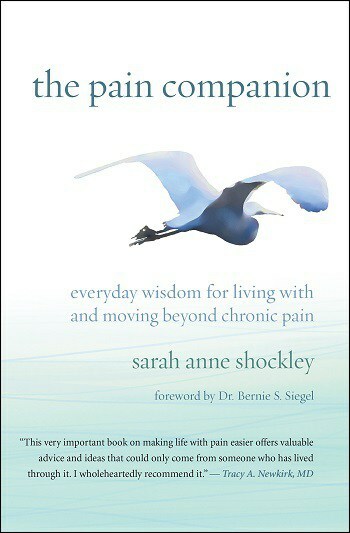 Sarah Anne Shockley is the author of The Pain Companion: Everyday Wisdom for Living With and Moving Beyond Chronic Pain. In the Fall of 2007, she contracted Thoracic Outlet Syndrome (TOS), which is a collapse of the area between the clavicles and first ribs, and has lived with debilitating nerve pain ever since. She has been a regular columnist for the Pain News Network and is a regular contributor to The Mighty, a 1.5 million-member online community for those living with chronic illness and pain. Visit her online at www.ThePainCompanion.com. This is such a powerful and helpful post. As someone who has lived with long-term pain for many years I relate to what you say about pain creating a bubble around you that isolates you from the outside world.